The study was supported by the American Beverage Association (ABA), a Washington, DC-based trade association. It was peer-reviewed and posted on www.clinicaltrials.gov. Neither ABA, nor any of its members, was involved in any part of the study, its analysis or the writing of this paper. The University of Colorado Anschutz Health and Wellness Center is an innovative, state-of-the art research, education and consumer care facility located on CU’s Anschutz Medical Campus in Aurora, Colorado. The Center's mission is to transform the lives of individuals and communities through science-based wellness strategies both locally and nationally. Our research is translated into customized programs and offerings, delivered through our Wellness Clinic and Fitness Center. We provide programs, in partnership with schools, worksites and community organizations throughout Colorado. Our vision is a world empowered by wellness. 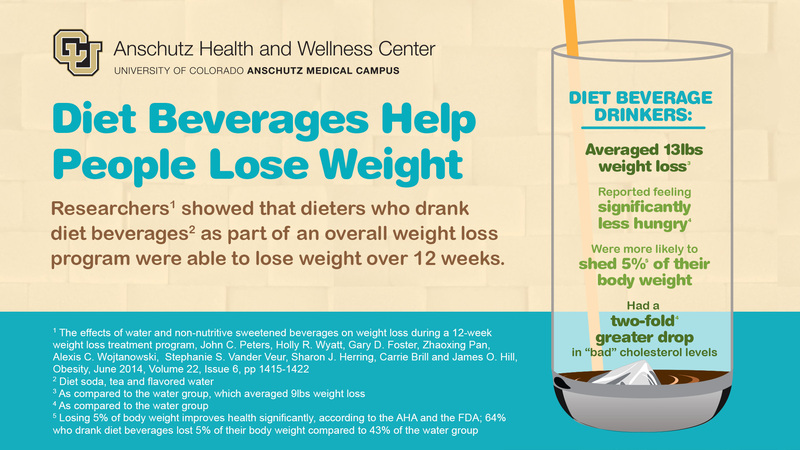 Learn more at www.anschutzwellness.com. Follow us on Facebook and Twitter.